1. Combine dry ingredients in a bowl, then add wet. 2. Mix, but don’t overmix. 3. Split pancake mixture into three and add the strawberries to 1 bowl and the cocoa powder into another. 4. Cook on an oiled (or sprayed) pan, on low-medium, flipping each pancake once. 5. Whilst cooking, blend together the ingredients for the ice cream and store in the freezer until you are ready to start decorating your pancakes! 6. 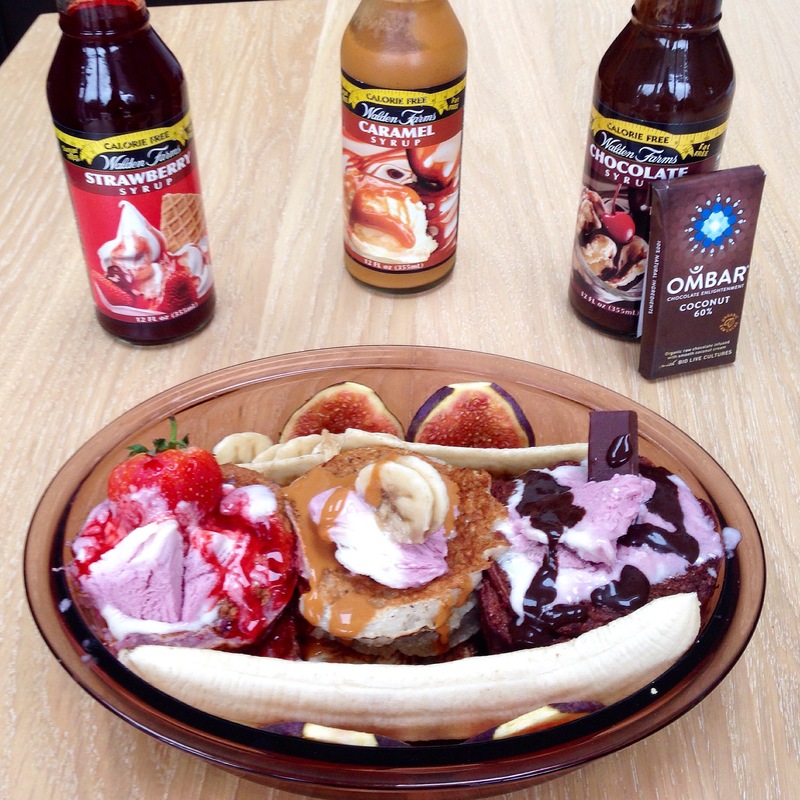 Arrange the pancakes into stacks of banana, strawberry and chocolate and then top with the ice cream and their relevant decorations.